Regina Daniel has decided to put school first ahead of her career as an actor and it appears the young celebrity is doing pretty well. 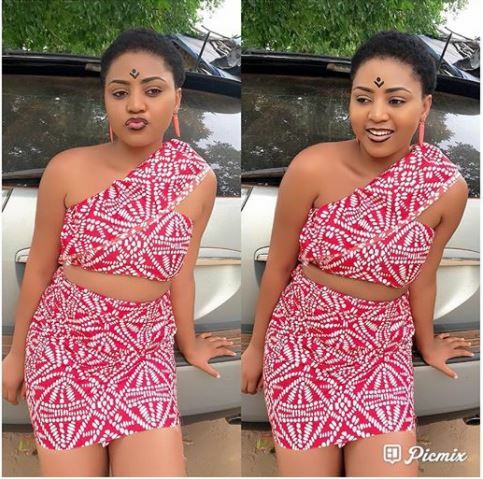 Actress Regina Daniel stepped out looking hot at Igbinedion University. The young actress who recently gained admission is definitely coping with academic activities. It appears she is beginning to make good friends in the school. Regina Daniels started acting at a very tender age(7). Her first movie which she acted was "Marriage of Sorrow" which was produced by Pressing Forward. According to her, she said that her mother's acting career was her inspiration to be an actress. At 14, report gathered that Regina had acted in over a hundred Nollywood films with highly rated Nollywood Stars, the likes Mercy Johnson, Chinwe Owoh, Tonto Dikeh, Ngozi Ezeonu, Yul Edochie, Kenneth Okonkwo, Genevieve Nnaji, Ini Edo, Chika Ike among others.